It is known that basic clay products were created in Benton, Arkansas by residents as early as 1868. 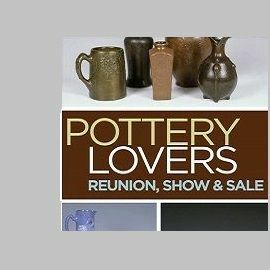 Several home potters created mostly utilitarian items such as chicken feeders, jugs, crocks, and large pots. By 1897, the only real production in Benton was provided by the Hyten Bros. Pottery. Brothers Charles, Paul, and Lee made simple items for the local residents such as jugs and churns. By 1902, two of the brothers had left for other endeavors, and Charles became the sole owner. 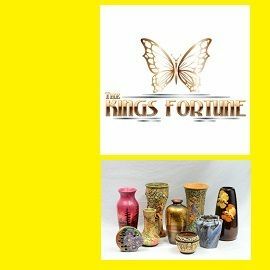 By 1906, he had renamed his company as Eagle Pottery. The history of Eagle Pottery was forever altered by the Ouachita Pottery, a company located 30 miles away in Hot Springs. The Ouachita Pottery created neriage swirl pottery from the local clays in small quantities as early as 1906. There is no doubt that Charles Hyten was made aware of it, but regardless, The Eagle Pottery Company successfully produced their first swirl pottery in 1910. This product was marketed as Niloak (Kaolin spelled backwards) by the Eagle Pottery Company. It was an almost instant success. By 1911 the production requirements increased the need for more and more pottery, and as many as twenty-five potters were employed in the growing plant. 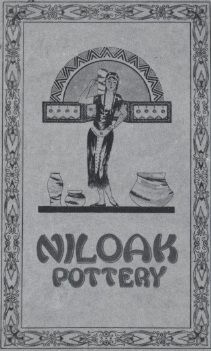 The brand became so popular that a new company called Niloak was incorporated by many community leaders for the promotion of the swirl pottery. Charles Hyten was not a shareholder, but the general relationship was based upon his Eagle Pottery providing all of the swirl pottery to the new Niloak Pottery Company which would promote and sell it. Little is known about the history of the company between 1915 and 1922. In 1918 the Niloak Pottery Company dissolved, with the charter passing to Charles Hyten and the Eagle Pottery Company. Beginning around 1922, Hyten and his associates embarked upon numerous automobile trips to major cities across the country. These promotional demonstration trips were used to convince store owners to carry Niloak swirl products as well as build public awareness and interest. 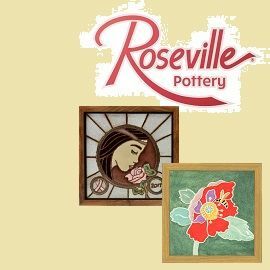 With the popularity of the Niloak swirl pottery increasing, several other companies began experimenting and marketing similar products. One of the most prominent was the Denver White Pottery. When Hyten became aware of these pieces being offered, he took action. By 1925 he had secured the Niloak trademark, and he filed for a patent for the process in the same year. In 1928 patent #1,657,997 was granted, ending the imitation of his swirl pottery. In what appears to be a horrific case of bad timing, Niloak borrowed large sums to fund a launch of a whole new line: The Hywood Pottery. 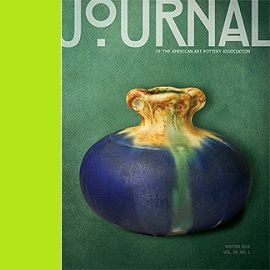 Over 400 pieces of traditional glazed wares were placed before the public in 1931 just as the great depression was playing out across the world. The consequences were disastrous. By 1934, the company fell in receivership, and was purchased by a group of Little Rock businessmen. They met with little success, in fact, in 1935 the company only operated for less than 4 weeks. In 1938, a new large kiln was built in an attempt to lower production costs for castware, but that also appeared futile. By 1940 almost no swirl products were sold, and the castware could not support continuing operations. World War Two brought a temporary reprieve, as they won contracts for porcelain electrical insulators, jars for ordinance, and even coffee mugs for soldiers. After the war, several more disasters befell the company, including a fire at the plant in 1945. The rebuilding delayed production of orders, effectively ending the Niloak Pottery Company in 1947.